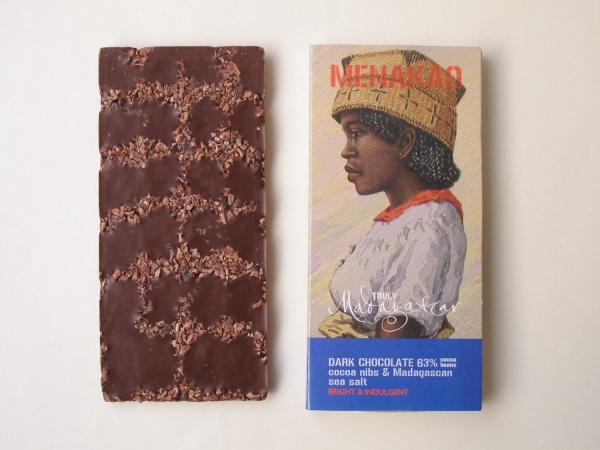 Menakao is a range of chocolate produced from bean to bar in Madagascar by Cinagra. The brand was launched in 2011 and is sold in export markets only. The unique packaging was designed using motifs of different paintings by the Malagasy artist A. Ramiandrasoa. Cocoa beans, pure cocoa butter. Madagascan cocoa beans, sugar, pure cocoa butter, emulsifier: GMO-free soy lecithin, pink pepper, combava. Madagascan cocoa beans, sugar, pure cocoa butter, emulsifier: GMO-free soy lecithin, pink pepper, Tsiperifery pepper, black pepper. Sugar, whole milk powder, Madagascan cocoa beans, pure cocoa butter, emulsifier: GMO-free soy lecithin, Madagascan vanilla. 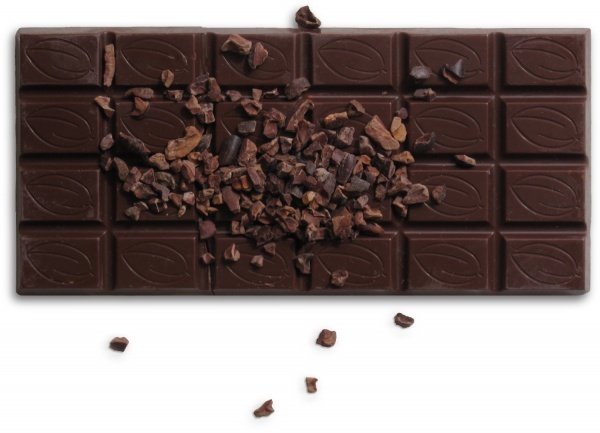 Madagascan cocoa beans, sugar, pure cocoa butter, emulsifier: GMO-free soy lecithin. Madagascan cocoa beans, sugar, pure cocoa butter. This page was last modified on 13 January 2013, at 22:45.